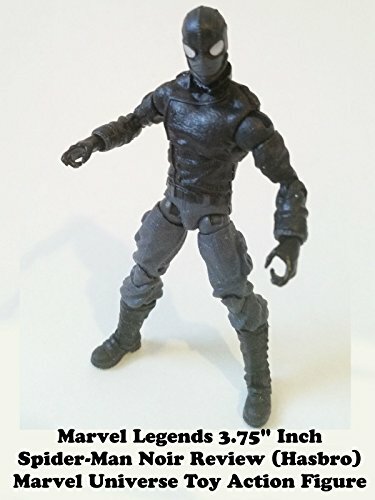 This is a 3.75" Marvel Legends SPIDER-MAN NOIR review. It used to be called Marvel Universe but then Hasbro decided to change the name. This adds confusion to the marketplace. Anyway Spider-Man Noir is a fantastic figure but you need to get two extra items to make it stand out and be more comic accurate. Look for the G.I. 25th Crimson Guard. Also need to buy Avengers Nick Fury toy figure.